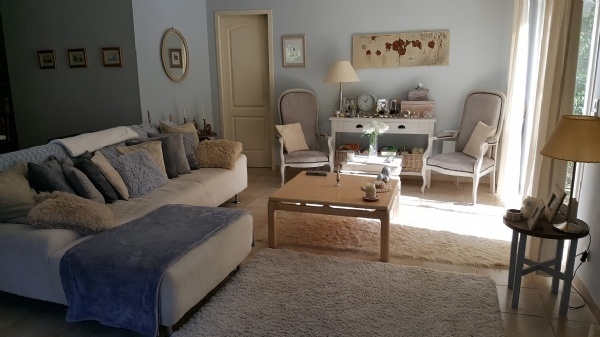 Very charming single storey villa (2006) with 98 m2 of living space including 3 bedrooms and 2 bathrooms, plus a garage, on 669 m2 of a superbly landscaped land with pool. 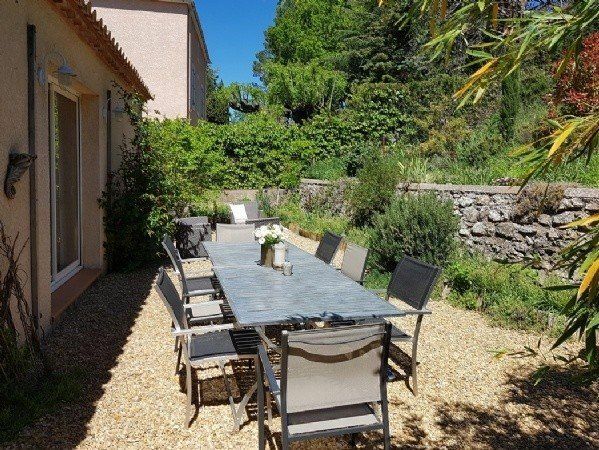 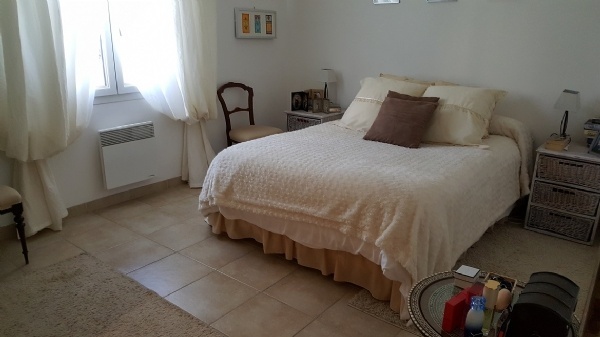 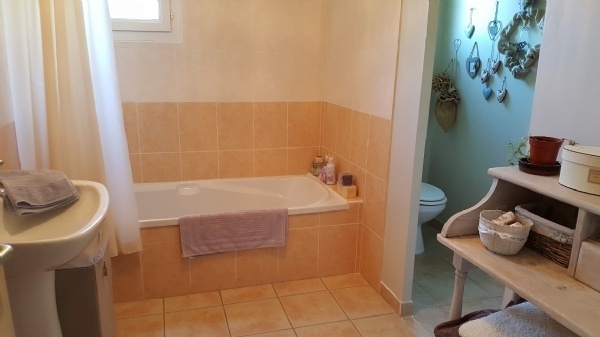 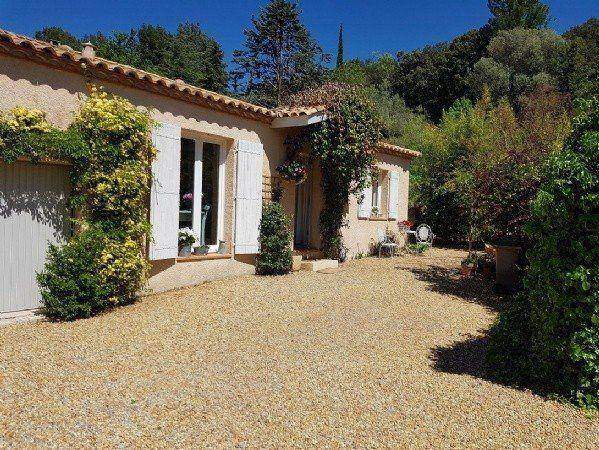 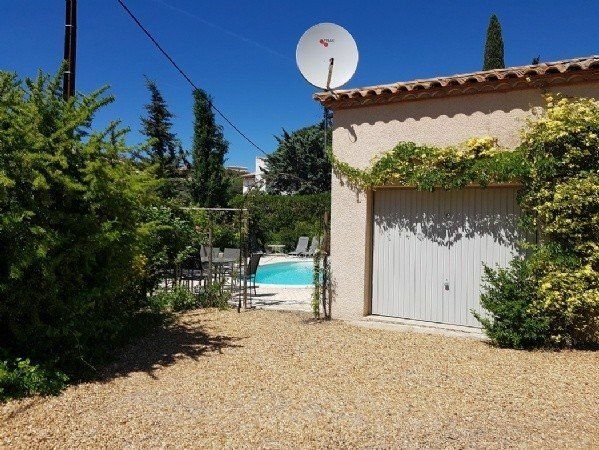 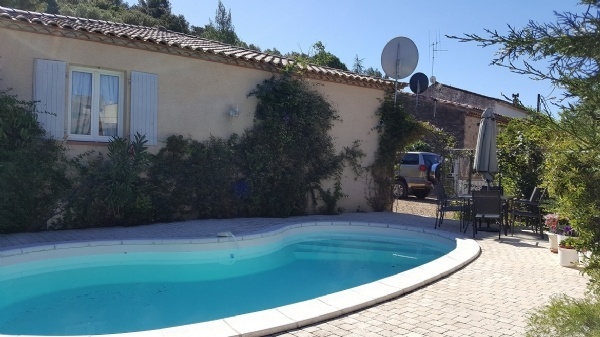 Well located not in residential estates but in a quiet street of the centre of the village. 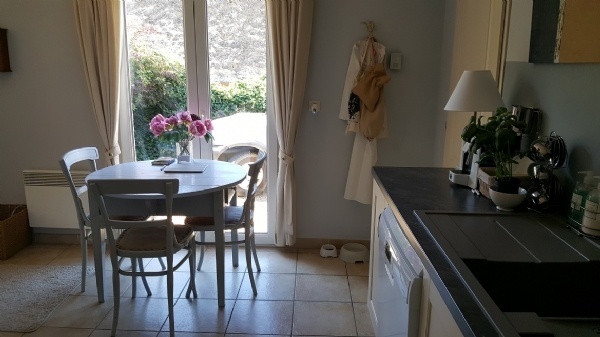 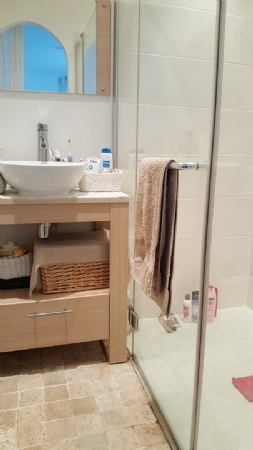 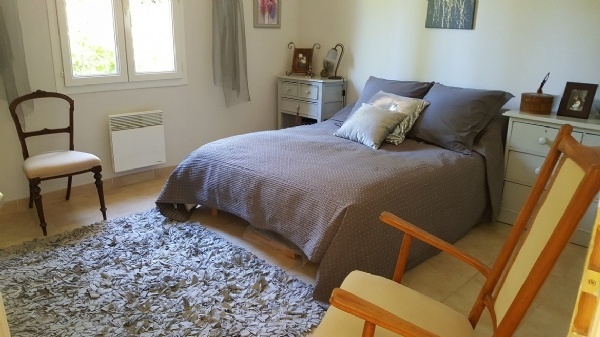 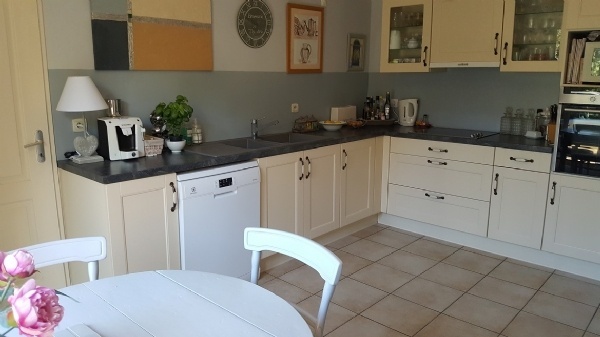 Interior = Living room of 34 m2 with french window to the garden + equipped kitchen of 14 m2 (extractor fan, oven, hob, dishwasher, upper and lower units) + corridor of 7 m2 + 2 bedrooms of 12.6 m2 and 10.8 m2 + bathroom of 5.5 m2 (bath, wc and washbasin) + en suite bedroom of 13 m2 with shower room (shower, washbasin and wc) + garage of 18 m2. 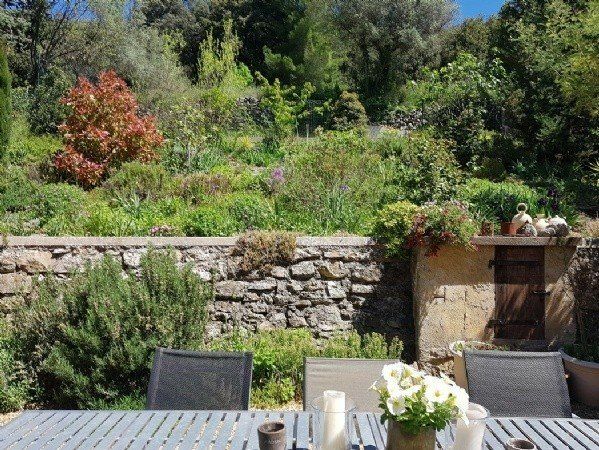 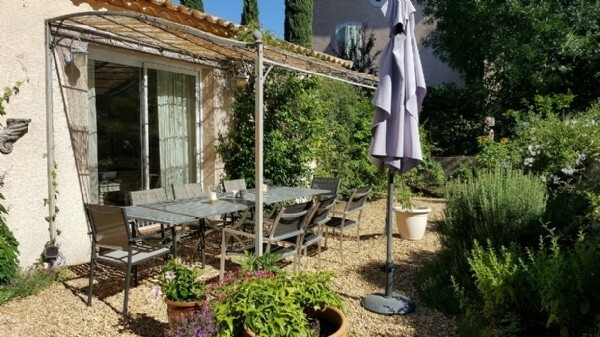 Exterior = Bean shape pool (coque) + well + superb landscaped garden with mediterranean plants and lots of flowers. 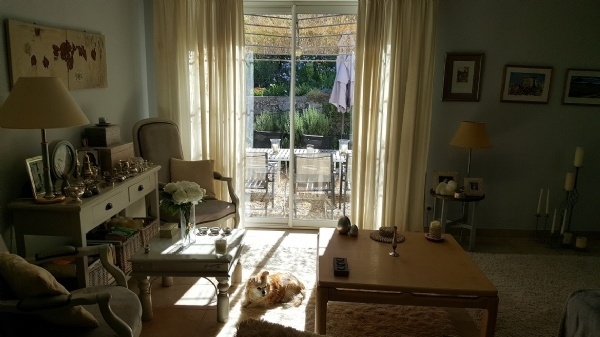 Sundry = Electric heating and woodburner + annual land tax of 810 E + in the centre of the village.